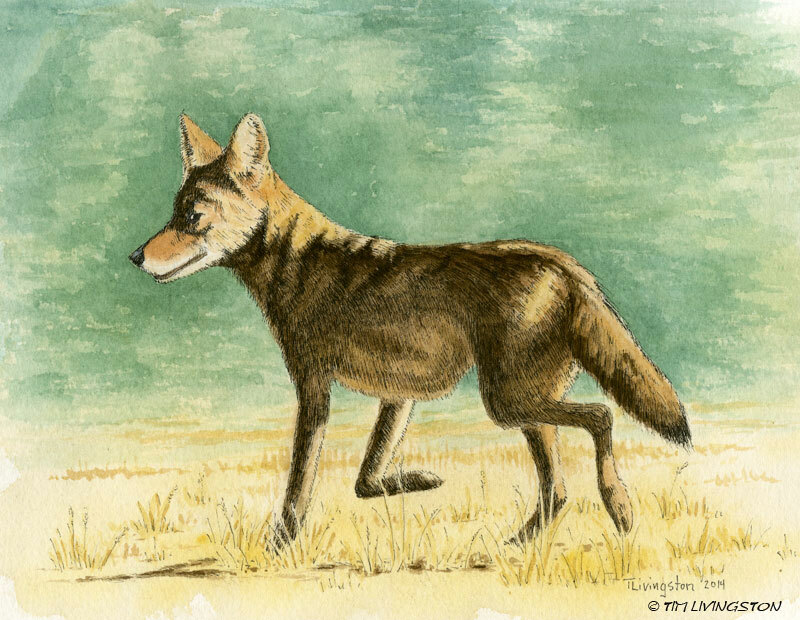 This entry was posted in Drawing, Pen and Ink, Watercolors, Watercolour, Wildlife and tagged coyote, drawing, Forester Artist, mixed media, nature, pen, pen and ink, Pen drawing, predator, watercolor, watercolour by foresterartist. Bookmark the permalink. Thank you Ann. I’ve had the last picture a long time, trying to decide whether or not to post it. I find it quite thought provoking. Not what I typically post, but it is what it is. Naturally, the coyote comes after the roadrunner. I loved this line. Yes, you are right. I love the drawing and its color. Nice! Glad you got a pose from the coyote. It’s as if he knew he’d be famous. When I was a kid, a bear posed for me at Yellowstone. What a thrill for me as I took his picture. I imagine bears posed a lot there. Well Linda, now you have me curious. I want to see you and the posing bear! Mary posed with a bear last week. I’m trying to talk her into blogging about it. In New Jersey they are currently trying to capture a coyote, or possibly more than one, that has bit people. That’s not good. It sounds like someone is going to get rabies shots. Indeed, one of the coyotes that was caught, tested positive for rabies. That’s going to be rough. Thank you Rebecca! A circle indeed. One that has been playing out for a long time. Tim, Really great painting of the Wiley one. We see so many of these critters as they are plentiful. They definitely take an enormous toll on the pheasant population so they don’t tend to have a generous welcoming committee. Because of their predatory ways, they are often viewed through a scope! There are two bachelorette sisters (in their 90’s now) that have a big ranch up the creek from us. One of the sisters was upstairs in her room, when she looked out the window she saw a coyote in the pasture. She grabbed her rifle from the corner of her room and promptly dispatched it with one shot. Downstairs she ran, where she met her sister, also holding a rifle. She said to her sister “I just shot a coyote!” To which her sister replied “Me too!” They both shot it simultaneously. I know, the last picture is pretty rough. Beautifully done! I’ve had several coyote encounters while out in the woods where I live. It’s always a thrill to see them. And they always seems as interested in me as I am in them. Thank you Claire. I like watching them too. They are a very intelligent animal. Thank you! But not beautiful like your pictures. I love coyotes, it always makes me happy to see them. Nice drawing! I’m with you. I like seeing them around and hearing them howl in the evening. I never had any problems with them, cross my fingers. We hear them howl quite a lot, but no problems ever. There’s a lot of snowshoe hares. Thank you so much Vivian. Hence the name Wiley. Respecting their nature is wise. I like seeing them, but it’s good to be a bit cautious. Thanks Teresa. We had the same experience. Dog problems, but not coyote problems. The skunks are notorious chicken killers too. When our boys were little they would go up to our kennel to feed the dogs at night. If the dogs hadn’t eaten all their food from the day before, they’d throw it out behind the kennel. We kept going out and seeing coyotes running away from the kennel. 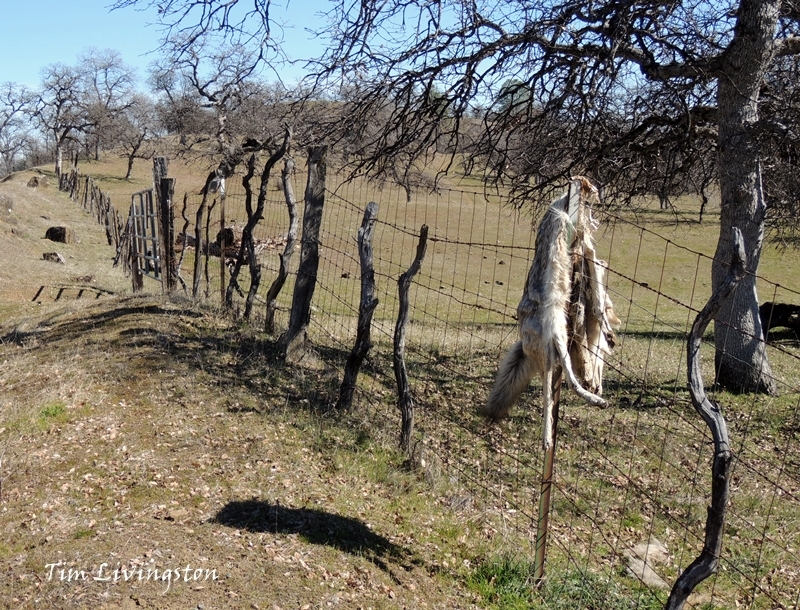 The dogs barked like crazy, but the coyotes only ran when people came out. They were coming in for the wasted kibble. We told the boys to stop dumping out the day old food and the coyotes quit coming around. What a beautiful and honorable drawing of “brother coyote”. A great companion drawing for the Roadrunner. You are such a fine artist! Absolutely gorgeous paintings. I dabble, no where near this, hats off! Wow, thank you so much! Have you posted any of your art? yes, there are a few on my blog. Nice use of watercolor and ink, Tim! I like the background color and the coyote is so good! Thank you so much Teela! We have been seeing them all over New York City this Spring no doubt their habitat has been disturbed and they are looking for mates. People are freaking out. I don’t think they would bother me in the wild but I don’t want to see them on Madison Avenue. Madison Avenue, no doubt. We have a similar problem with black bears. The bear population has increased so much that they are coming into town, a lot. I imagine it will be more and more common as humans encroach on their home grounds. We’ve had little development here for a number of years, so our issue isn’t encroachment. Instead our bear population has been on a steady increase and many of the young bears are venturing into town looking for food. Just saw something interesting they caught the coyote in Queens and the animal experts are saying one coyote followed the train tracks and the others are now following his scent. Interesting theory. That’s interesting. They must be like fish out of water when they get that far into the city. I am glad they caught him. They are releasing them into refuges after they are vetted. So this is what a coyote looks like. Fine job. I believe that coyotes are being spotted in and around NYC. I’ve been hearing the same thing. Not the usual place I would think of them. 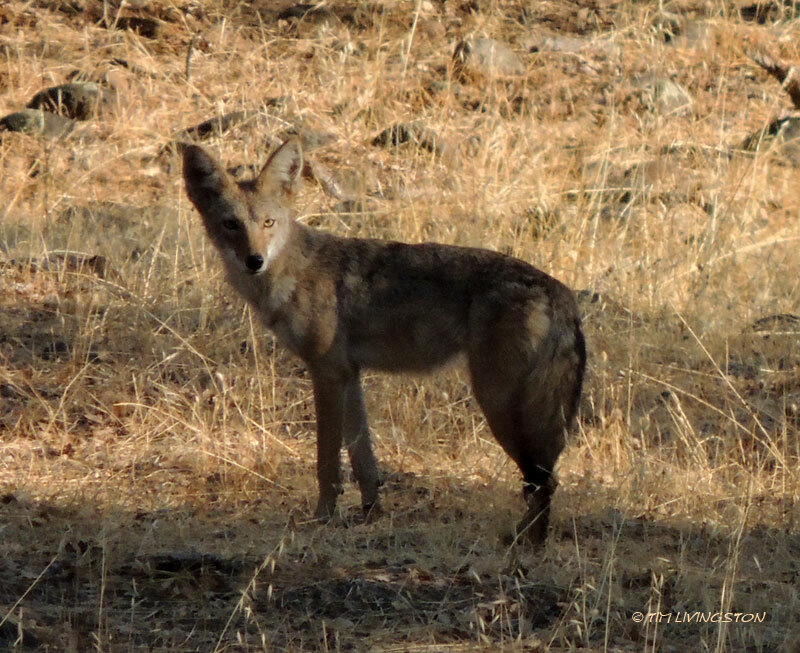 We have lots of coyotes here…and they are much bigger now and not as afraid….they come closer to the house and watch us more….it is creepy how much they have changed since I was young when they were scared and not so big. That’s interesting. I haven’t noticed a difference in their size here. I definitely see them much more often. I think we have a lot more than we used to. Tough to find a balance, and good to remember there are two sides to it. It is tough. There is a need to control them, but I hope it is used when needed and not when it isn’t. If that makes sense. Wonderful painting. We are lucky here. I get to admire the coyotes we see and don’t have to worry about their predation. I felt so blessed to see the puppies in our back yard area near the pond and in our front flower beds. I would worry if I had a cat or a small do though. Thank you Ruth. I always keep an eye out, but thankfully have never had any problems with them.